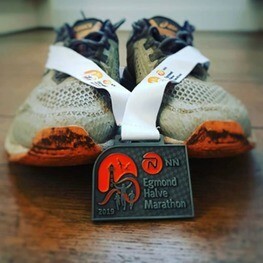 Starting in 2019, NN will be the new main sponsor of the Egmond Half Marathon for the next three years. The NN Group is sponsor of dozens of running events in Europe and Japan and wants to help runners to achieve their sporting goals. 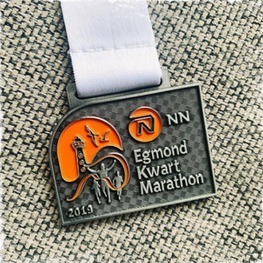 ‘We are delighted to be able to present NN as the new main sponsor of the Egmond Half Marathon. NN is a leading and international brand that has a soft spot in its heart for runners. The long-term partnership we are entering into demonstrates the confidence we both have in a successful and innovative collaboration. Together, we aim to help our participants to achieve their sporting goals with the best possible preparation’, says Cees Pronk, Manager of Events at Le Champion. 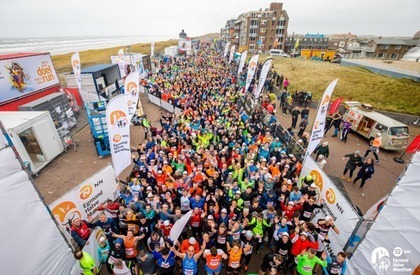 For many runners, the season starts on the second Sunday in January in Egmond. 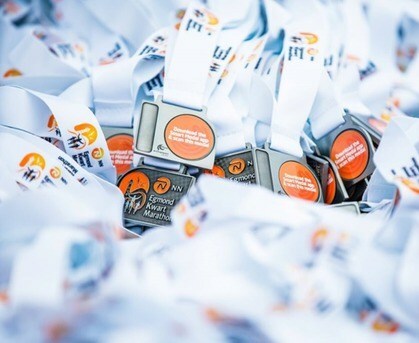 The Half Marathon is famous for its challenging course: it starts with some tough kilometres on the beach, followed by a fantastic stretch across the North Holland dune reserve. The changing tides and weather conditions make each edition different. One year the runners are plagued by rain, storm and snow, while the weather was mild and springy during other editions. Every year many returning visitors restart the battle against the elements. Of course, the medal always has a tough look. This time a background structure was chosen. Because of the plate structure in the background, the top layer with the NN logo contrasts well. The choice of an original shape, a rectangular medal with a rounded corner, makes the medal extra special. 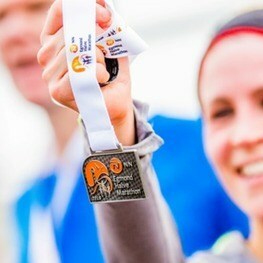 Participants of both the quarter and half marathon received a Smart Medal after the finish. In other words, a chip with which the participants can view their personal running story by scanning them with their smartphone. Medaltime provided a round inlay in the back of the medal for the chip. The rectangular inlay on the left is meant for Medaltab: the medal inlay with the name of the participant and the net finish time. The participant had the choice during the registration to order a Medaltab. After the event, the insert was provided with a beautiful engraving and sent to the participant. Request your quotation / design without obligation for custom made medals and Medaltab.